Professional sports organizations like the New York Yankees, Houston Rockets, Golden State Warriors and the Philadelphia 76ers have invested in or created Esports teams. Iconic celebrities like Drake, Michael Jordan and Magic Johnson have all jumped on the Esports bandwagon by investing hundreds of thousands of dollars into league teams. Overwatch and League of Legends franchises are currently valued at more than $50 million each. According to Forbes, there are approximately 165 million Esports fans and spectators; this number represents 15% year over year growth. The highest earning Esports player has made more than $4 million playing competitive Dota 2. If these facts aren’t enough to alter your perspective on the gaming phenomenon, consider this. Competitive Esports is a multi-billion-dollar industry creating jobs and opportunities in a new and untapped market. Not only do players have earning potential through tournaments and team salaries, players are also making thousands of dollars as streamers and content creators. This income is generated by online subscriptions to their live streams on Twitch, ad revenue from creating content and posting it to their own YouTube channel and by selling branded merchandise on their personal or team websites. Tyler Blevins, better known as Ninja, is a prime example of this as he has reportedly earned more than $10 million in 2018 alone. Not quite sure whether to forgo college for a career in Esports? 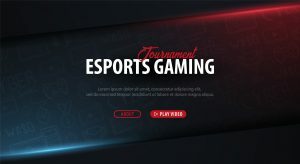 You might be interested to know that more and more colleges and universities are forming Esports programs and offering scholarships for those players who make the cut. Some of these universities are right here, in and around Tennessee, including University of Tennessee, King University, Western Kentucky University and Georgia State University. There is even an intercollegiate organization governing these programs called the National Association of Collegiate Esports (NACE). As you can see, there is a mountain of opportunity in the field of competitive Esports, and whether you are an aspiring pro player or the parent of an aspiring pro player, it is imperative that you educate yourself on the industry and the business before embarking on a career. Understand the legal ramifications of signing a team contract, sponsorship agreement, management contract or even a tournament participation agreement. It is easy to get excited at the possibility of being a professional Esports competitor, but don’t get caught up in the hype. Consult an experienced attorney before you sign any agreement so as to ensure your interests are protected and to best negotiate a deal that is right for you. Stay tuned for my next blogs to further discuss the trends in this amazing new industry and what legal pitfalls to watch for.